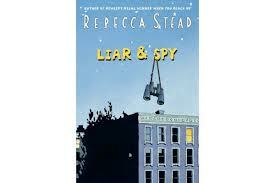 Rebecca Stead grew up in New York. She went to an elementary school where she could read under the table without being told to get out. She also started writing while she was in school. When she was older, she decided to become a lawyer. She still wrote stories when she had the time. After she had children, she didn’t have much time to write stories. She still tried to write some. After one of her kids pushed her laptop off the table, she was grouchy, so she went and bought lots and lots of books she had read as a kid. That is when she decided to become an author. This entry was posted in Books on tape, Listening, Reading, Writing and tagged audiobooks, authors, fiction, language arts, reading, Rebecca Stead, school. Bookmark the permalink.